2019 Virginia Law Enforcement Challenge Applications Now Available! Entries due Saturday, May 11 by 11:59 PM! It's time to start gathering your traffic safety education information and enforcement data from 2018 and begin working on your 2019 entry for the Virginia Law Enforcement Challenge Awards for Excellence in Highway Safety! The Virginia Assocation of Chiefs of Police encourages all law enforcement agencies – town, city, county, private, special, military, and campus – to enter! If you receive a grant from the Virginia Highway Safety Office to conduct high-visibility enforcement and education initiatives, then you are halfway there! The same data you collect for your grant activities is exactly what you need to apply for a Challenge award! For more information about the program and to get the 2019 Application Materials, CLICK HERE. RICHMOND - The outstanding efforts made by individuals and organizations to change the behaviors of Virginia's motorists leading to crash, injury, and fatality reduction may be nominated for the 2019 Virginia Governor's Transportation Safety Awards. The Virginia Department of Motor Vehicles' Highway Safety Office is accepting nominations through March 15, 2019 for 13 different transportation safety categories. The 2019 summit will be held May 21-23, 2019, at the Blue Ridge Hotel and Conference Center at 2801 Hershberger Road in Roanoke. The summit will feature the latest life-saving strategies to prevent crashes on Virginia's roads through innovative presentations and exhibits. This 16-hour course is intended to bridge the gap between the Standardized Field Sobriety Testing (SFST) and Drug Recognition Expert (DRE) courses. You will learn how to observe, identify, and articulate the signs of impairment related to drugs, alcohol, or a combination of both. One of the more significant aspects of ARIDE is its review and required student demonstration of the SFST proficiency requirements. The ARIDE program also stresses the importance of securing the most appropriate biological sample in order to identify substances likely causing impairment. This course is designed for police officers, prosecutors and toxicologist who have successfully completed a course using the IACP/NHTSA approved 24-hour SFST curriculum. Officers MUST demonstrate a proficiency in conducting Standardized Field Sobriety Testing to attend this course. If an officer cannot correctly demonstrate and articulate the tests, they will be asked to leave the program. NOTE: This training will not qualify an officer to serve as a drug recognition expert. Please complete the registration form at https://www.surveymonkey.com/r/ARIDEVB19. There is no registration fee to attend. The program is provided through grant funds from the Virginia Highway Safety Office. This course is sponsored by AAA Tidewater Virginia. Course size is limited. Attendance is on a first-come, first- serve basis. IT IS MANDATORY FOR YOU TO ATTEND THE FULL 16 HOUR CLASS. IF YOU MISS ANY TIME YOU WILL BE REMOVED FROM THE COURSE. For more information, contact Jessica Lambertson at jessica.lambertson@dmv.virginia.gov. The Henrico County Police Division recently conducted its annual review of pedestrian-involved crashes. Based on initial analysis of crash data from 2017 and 2018, three trends have emerged: pedestrians wearing dark and/or non-reflective clothing; pedestrians under the influence of alcohol and/or drugs; pedestrian failure to cross at controlled intersection. These trends are not representative of all pedestrian-involved crashes. RICHMOND - The Virginia Department of Motor Vehicles (DMV) has scheduled regional workshops to assist nonprofits, state agencies and law enforcement agencies with the 2020 highway safety grant application submission process. RICHMOND (Dec. 3)—Governor Ralph Northam today issued Executive Directive Two which establishes an Executive Leadership Team on Highway Safety that is charged with reducing the rising number of fatalities on Virginia's roadways. The team is comprised of representatives from the Virginia Departments of Motor Vehicles, Transportation, Health, Education, and State Police, and is led by the Deputy Secretaries of Transportation and Public Safety and Homeland Security. "Nearly every crash is preventable and it's important that we focus on altering the behaviors that threaten the safety of the citizens who use our roads every day," said Governor Northam. "The Executive Leadership Team will work proactively to drive a positive traffic safety culture in Virginia—I encourage all Virginians to get involved and offer input to help ensure we're tackling the highway safety issues that people across the Commonwealth are most concerned about." The Commonwealth Attorneys' Services Council (CASC) will be conducting six DUID Training Programs across the Commonwealth in 2019. This training, for judges, prosecutors and law enforcement officers, focuses on the difficult cases involving driver impairment due to the use of illegal and/or prescription drugs. Topics to be covered include: Recognizing the Drugged Driver; Crashes; Blood Testing Issues; and much more. Additionally, the latest version of the Virginia DUI Manual will be distributed to all participants. There is no charge for this single-day training program. Lunch and break refreshments will be provided at no charge. Virginia State Bar MCLE and In-Service Training Credits are pending. Note: You must pre-register to attend. Contact Ed Hibbard at whibbard@wm.edu or at 757-253-4994 if you have any questions. 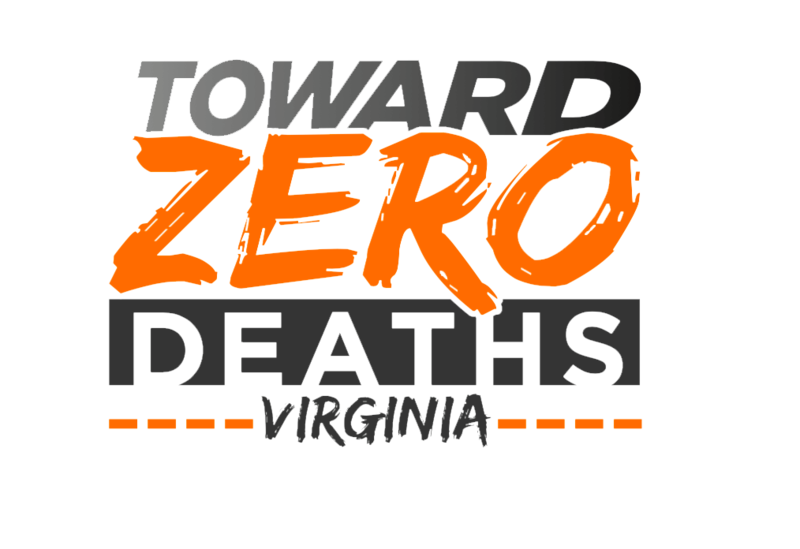 Governor Ralph Northam today urged Virginians to help drive change in the commonwealth's traffic safety culture by joining the Toward Zero Deaths Virginia movement. Toward Zero Deaths (TZD) is a national strategy on highway safety that uses a unified approach to change driver behavior and improve highway safety with a goal of ultimately reducing the number of traffic-related serious injuries or deaths to zero. RICHMOND – The Virginia Department of Motor Vehicles (DMV) begins issuing optional REAL ID compliant driver's licenses and identification cards today. Given the large amount of traffic running through and around Virginia's campuses, and the increased numbers of college students, faculty, and staff who are walking and bicycling for commuting, physical activity and recreation, pedestrian injuries remain a concern for campus law enforcement. This page provides resources to assist you in planning policies, educational and enforcement strategies.